Projects and amortization: why should entrepreneurs choose Progea? Progea has been continuously receiving very positive feedback from the end user market since they completely renewed their multifunctional SCADA platform software product. So what are the advantages of using this SCADA platform then? Why is it increasingly being used to the detriment of the more well-known ones (but less innovated)? Having worked as a technician I would immediately start talking about the technology which lies at the roots of Movicon.NExT, such as the vector graphics and the numerous features it offers to facilitate the work of the developer for instance. Progea’s SCADA is a development platform designed to be scalable and modular to allow projects of any type and size to be created by means of using the various graphics tools, predefined modules and simple and intuitive development environment. It has an inbuilt Server, Historian and redundancy functions plus an Alarm management. The platform’s graphics have also been enhanced further with advance technology innovation. The new WPF/XAML graphics rendering engine provides users with the opportunity to import and dynamically manage 3D images. All the graphics images have been rewritten with vector tools so that objects can be created with great detail and definition. The platform is web-enabled and uses the HTML5 technology which is essential to modern web technology. May I point out that we are talking about this software platform. 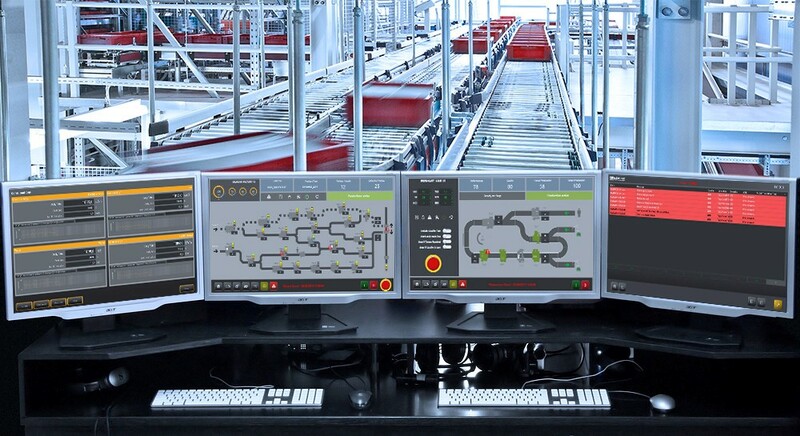 Having this one unique SCADA application in the company is the best way to connect to any field device (whether it be PLC, PLC, HMI, third party supervisory systems, RTU, fieldbus or database). This truly is an advantage not to take lightly considering that it can also be used to develop small projects, such as simple operator panels, or bigger projects that encompass several machines, production lines or plants as well. For an entrepreneur this means having just the one interlocutor constantly at hand and for the System Integrator this means having the capability to engineer any project using just the one all-inclusive development environment. How many companies have solar panels on their roofs or cogenerators in the proximity of their production sites? How many companies actually know how the main energy resources are used or more worryingly wasted? The powerful connectivity integrated in the Progea platform permits you to manage data from energy production systems and monitor water, light and gas meters in real-time. This, in itself, is an enormous help to energy managers and whoever else needs to analyze energy consumptions. But you can do even more. Need to save on heating or HVAC, control access by authorized or unauthorized personnel, CCTV, smoke or movement sensors and burglar alarms? All these things can be controlled from one location point using the Building Automation version of Movicon. Thanks to its connectivity, the various control systems can easily and quickly be integrated in the Progea platform. Contact us for a demonstration now!